Thanks to the hard work by Cpasjuste, a little help by me, and some help from the ScummVM devs, ScummVM Vita has been successfully merged into mainline ScummVM. This means that the Vita port is now part of the official list of ScummVM ports. I'm a huge fan of scummVM. It was probably the first thing I tried on my hacked PSP back in 2006. The first video game I played on a computer *ever* was Monkey Island. Thanks to you and CPasJuste for the work! If you need US PSN Codes, this technique is what I recommend. Looking for guest bloggers and news hunters here at wololo.net, PM me! wololo wrote: I'm a huge fan of scummVM. It was probably the first thing I tried on my hacked PSP back in 2006. The first video game I played on a computer *ever* was Monkey Island. I might as well just copy and paste what you said. Monkey Island was my first ever game too. Whenever I'm hacking the latest console I always look for ScummVM. The Vita touchscreen makes this so much more worthwhile. Thank you guys for your hard work. 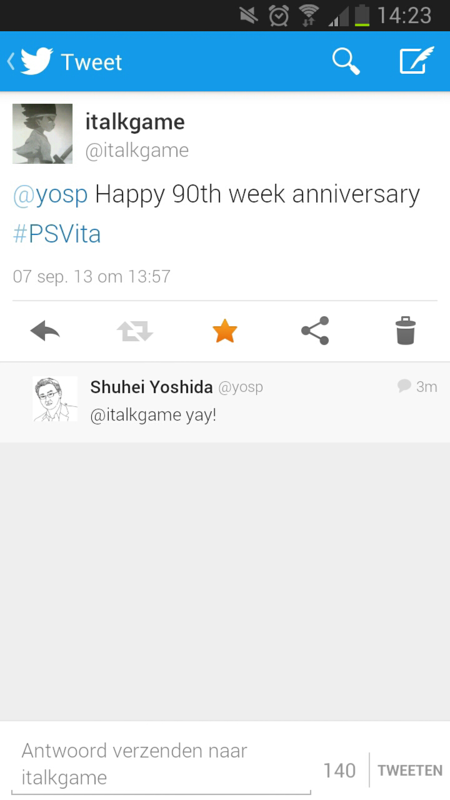 Its always appreciated even when the vita community isn't very vocal! bazgee wrote: The Vita touchscreen makes this so much more worthwhile. Thank you guys for your hard work. Its always appreciated even when the vita community isn't very vocal! I hate to disappoint, but touch is not even supported yet on the Vita. Only analog stick. It still works pretty well but touch would sure be nice. Thanks to the devs and cpajuste. Indiana jones was not my first videogame on computer but one of my favourite. This is so that Vita/PSP users have access to the latest experimental features, some of which are not in the official daily buildbot builds yet. Note that this is much less tested than the official 2.0.0 release or even the daily buildbot version! This is mostly because of the lipsync patch (see first changelog entry). I think the lipsync is a huge deal so should be immediately released. But it is also largely untested. - Proper lipsync in Day of The Tentacle and Full Throttle. The lips of the characters now stop moving during pauses in their sentences, just like in the original games. - Joystick mouse cursor speed is independent of screen resolution. - (PSP) Fixed cursor jumps in x/y coordinates, fixed new smooth cursor speed to the same that it was for the old, jerky cursor (can be adjusted in "Controls" tab). - (PSP) Implemented smooth mouse cursor motion and control options where one can change mouse cursor speed and joystick deadzone settings. - (PSP) Add new graphics mode "Fit to Screen." This mode replaces the "4:3 Aspect Ratio" and "Keep Aspect Ratio" modes. The new "Fit to Screen" mode makes proper use of the "Aspect Ratio Correction" checkbox setting. If the checkbox is set, the aspect ratio will be forced to 4:3, useful for games like Full Throttle. If the checkbox is not set, the aspect ratio will be the original game aspect ratio, useful for games like Dreamweb. Is there ever will be touchscreen support added? - (Vita) touch controls on Vita. Left button: tap single finger. Right button: hold single finger while tapping second finger. Please note it is a relative touch mode. The adventure games are unplayable in direct touch mode, because they rely on mouse-over discovery. I will add sensitivity adjustment as soon as I find more time.